Tomorrow (9/20/16) “Rise of Iron” – Destiny’s latest expansion – drops and I was able to sit down with the Queen of the Hunters, CurrerBell, and get some pre-release thoughts. I’ve paraphrased her words (with her approval) below. Enjoy! I’m looking forward to all the new things – armor, guns, maps, etc. More than that being able to play with my gaming group again. An expansion like this pulls everyone back from the other games they’ve been playing, and it’s going to be great to have the band back together. And, of course, I love me some Crucible. What are your concerns for the expansion? The addition of getting back into it – real life repsonsibilities tends to get in the way of my gaming. Also, the frustration of armor/guns that you worked hard for being downgraded. Do you care about the raid (Wrath of the Machine)? I would love to care about the raid. Finding the time for it and getting the group together can be a challenge though. This is my hammer. These are my wolves. Prepare to die. What class are you most excited to get in there with? I absolutely adore my Hunter, so she’s my first choice. I just started the path of the Sunbreaker for my Titan, so she’ll make an appearance as well. What other thoughts do you have on Rise of Iron? I’m excited for wolves; is it too much to ask to have a wolf pup to follow you around? I’d also like the story to go a little deeper – the Iron Lords are legend, and I want to be excited to be legend with them. A well-told story can make that happen. Really excited about the Gjallarhorn being back, however you have to get it. The new “plague” enemy – and this release in general – doesn’t seem as recycled as the others, and that’s a good thing. 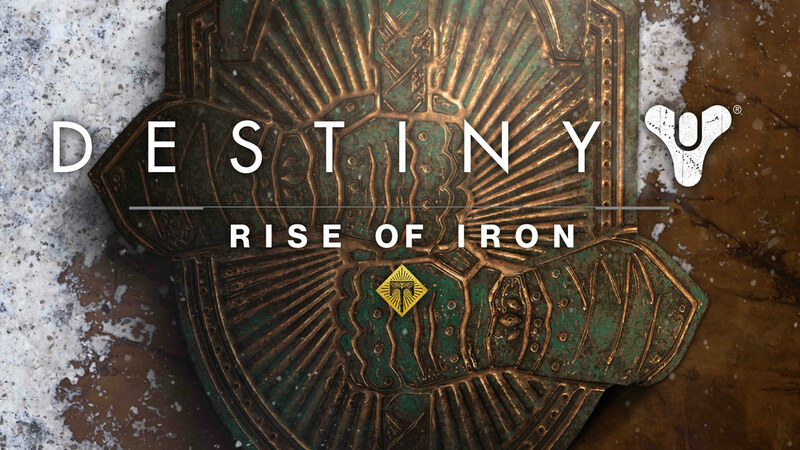 “Rise of Iron” is almost here – good luck Guardians! Glad to heara Curer is so excited for ROI, I haven’t played in so long and this might tempt me back that said PSVR is just around the corner and it may be that gaming is never the same for me again after that. The point you raise about the raids is a totally valid one for me too and in some ways I blame myself, if I’d been playing Destiny with you all on Xbox one maybe things would have been different, maybe all of those raids would have been cowering from us instead of the other way round? Good luck Guardians I’ll always be alongside you in spirit! I’m excited for her as well – this post had to be about her thoughts since I haven’t played in about a year. Dude, don’t be too hard on yourself! There’s so much to play and just not enough time for it all. Destiny is still a big part of my life because Currer is huge into it with no signs of stopping!